Today we made the most of a warm, dry and sunny Bank Holiday and headed off to a local nature reserve, The Wolsey Centre, near Shugborough Hall, Staffordshire. The weather and sights were a delight. The only cost was a voluntary parking contribution. This is a wonderful place for any age, and those with disabilities, to enjoy as you can observe nature so closely from the hideouts and a pond platform. My highlights included seeing these ducklings, a swan's nest, a cute pair of Canadian geese, gigantic gunnera, musical sculptures and many, many pretty spring blooms. 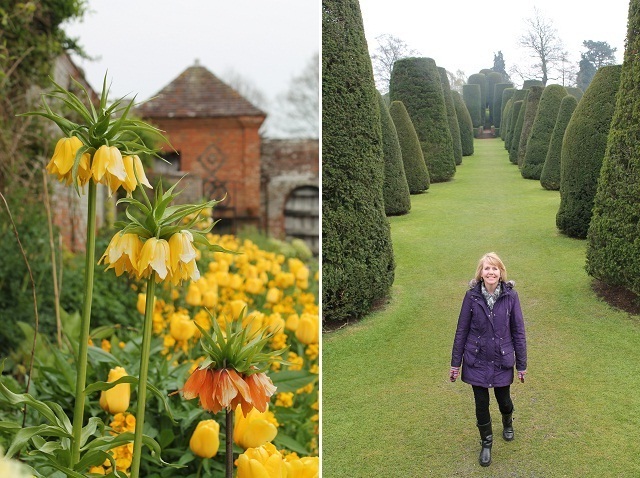 Yesterday was a very different day and it rained for most of the afternoon just as we headed out to Packwood House, a National Trust property in Warwickshire. However, despite getting soaked and my camera lens getting steamy we were enchanted by the gardens and house. Packwood is famous for its tapestries, sculptured yews and kitchen garden. We explored the nearby woodland to see bluebells before heading off to the gardens and house. The newly opened café was roomy and contemporary with winged armchairs and succulents in abundance. It is well worth a visit in its own right. Sadly by this time my camera lens was a little misty otherwise I would have certainly tried to get a photo to show you. I had a most welcome and warming cappuccino. In between these outings we have been seeing family and enjoying our usual Easter ritual of church, hot cross buns, chocolate and a last minute Easter tree and cake. I like the joy and relative simplicity of this festival. I hope you had a good time this Easter too, however you chose to spend it. I hot buns look so yummy! I remember them from when i lived in Australia... so simple, so good! Perfect easter photographs! 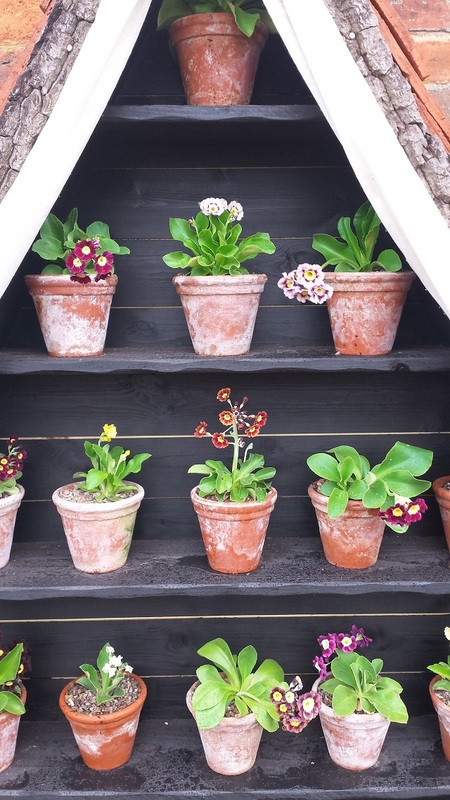 I am very jealous of those auricula's, i failed miserably trying to grow them last year, it's put me off for the time being! I'm so glad it's bluebell season now, I was suffering daffodil withdrawal! Very beautiful photos. Hot cross bun have been made and consumed far too many times this weekend. Sounds like you have had a great Easter. Lovely photographs of a very lovely time! Thanks for sharing.